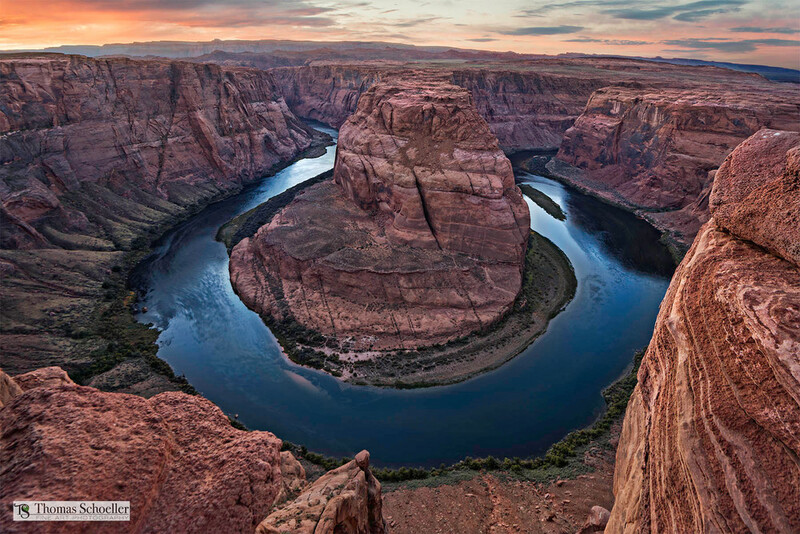 A gorgeous sunset at the Horseshoe Bend of the Colorado River near Page Arizona. Many regard this as the official gateway of the Grand Canyon despite the fact it is technically still part of Glen Canyon. This is one of the most dramatic scenes in the great American Southwest.